As you would expect, I did a lot of sewing on my days off, so one of the things that I need to give myself the most grace on is my sewing expectations. Have you ever counted your makes? 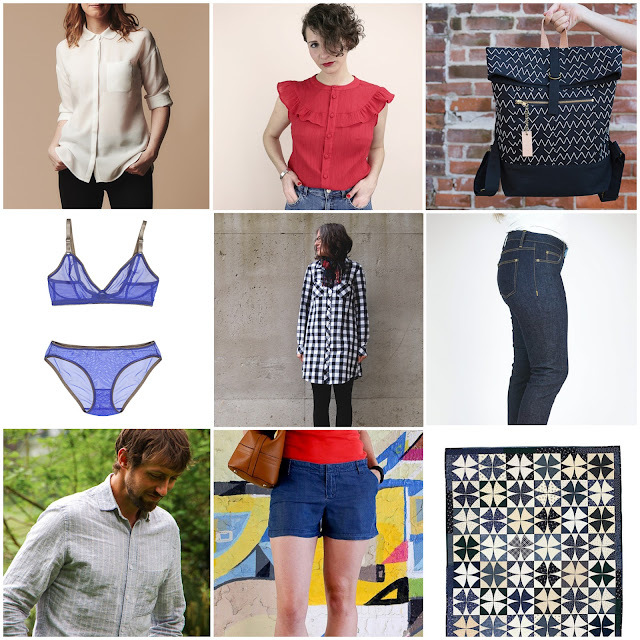 I did and I made 42 pieces of clothing in 2017! Can you believe that? I couldn't, but I now understand why I didn't feel the need to shop for a whole year. Yay me! But, holy moly, that is so not going to happen this year. What's even crazier is that even at 42 pieces, there were still a lot of unchecked items on my sewing list. I wouldn't describe myself as an ambitious person at all... except when it comes to sewing. I think once you realize that you can sew anything, you want to sew everything, and most of the time that's just not physically possible, or necessary, for that matter. This is a common struggle for creative people, isn't it? 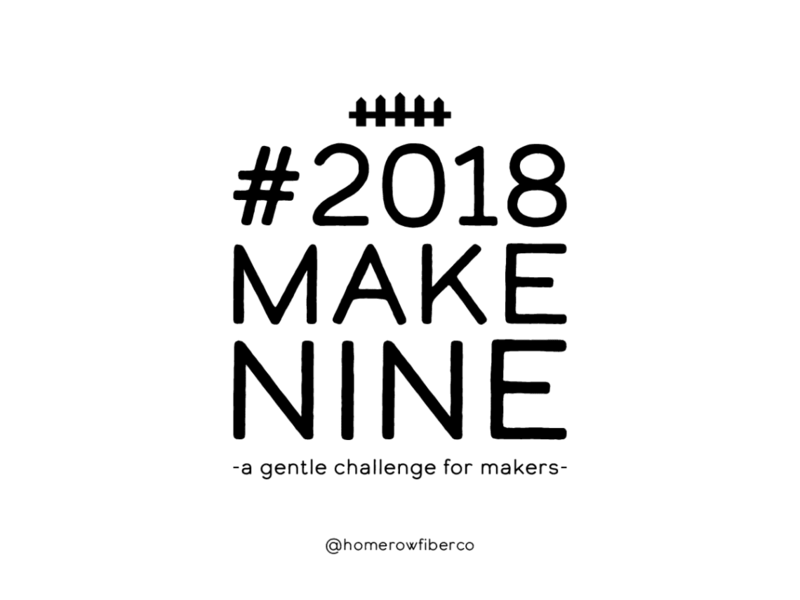 In an attempt to reign in all that crazy passion, I've decided to join the #2018makenine challenge this year. It's described as a "gentle challenge for makers" that encourages you to work at your own pace, to be flexible and kinder to yourself, and to learn more about yourself and your creative habits. Sounds like just what I need. Nine is totally doable. In fact, I expect to make many more than that. But I want these nine items to be my priority. I've chosen them carefully. They are things that I need in my closet, things that I have wanted to make for awhile but keep putting off, and things that intimidate and challenge me. 1. Melilot Shirt: I made a sample of this for Needlework last year but failed to follow up with one of my own, mainly because sewing a collared button-down in shifty rayon was a nightmare. But this is a style I would love to wear, so master it I must. 2. 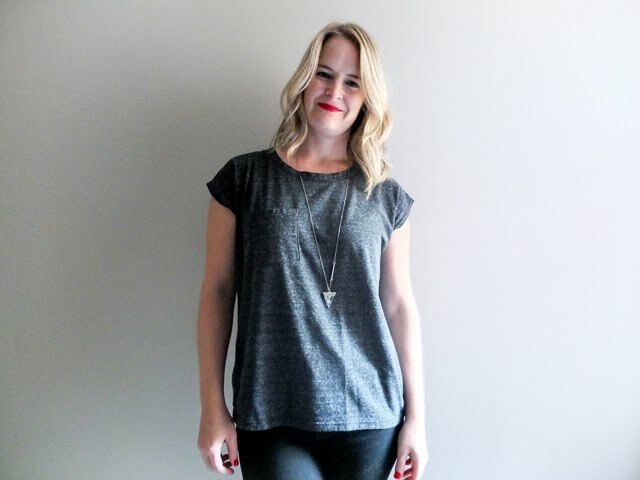 Suzon Shirt: I bought this pattern in Paris a couple of years and it has intimidated me ever since. It was written in French, for one, but the ladies at République du Chiffon kindly sent me an English translation last summer. So no excuses now. Check out Sara's version in white. I want! 3. Range Backpack: I've been a faithful tote collector for years, but I'm one sore shoulder away from tossing them all and joining the backpack trend. Plus, this Noodlehead pattern is hella cute. A must for schlepping supplies to craft night, at the very least. 4. Bras and Underwear: Another one that has been on my list for awhile. I've been dutifully saving my knit scraps for just this purpose. I was going to limit this goal to underwear, because bras are a whole other world in sewing, with new materials to acquire and fiddly techniques to master, but some of my current bras have actually become physically painful to wear lately, so this is pushing me to give it a go. I'll definitely start with a simple, comfortable bralette, but check out this beauty by Kirsten for inspiration. Again, WANT! 5. Archer-Alder shirtdress: If you've been following my Instagram, you will know that this one is already finished! (Blogging also clearly a challenge on my new schedule.) It has been on my list for a long time and I love it just as much as I thought I would. More details to come on that one (hopefully). 6. Ginger Jeans: Yes, I've made these once before, but I haven't made any since. Meanwhile, all of my RTW jeans are getting seriously worn out. And I have four metres of cone mills denim waiting patiently for their time in the sun... or snow. I'm determined to knock these out before Spring. 7. Fairfield Button-Up: This one is obviously earmarked for my husband. He's always picking out fabric for himself at the store and I keep putting him off, saying I need more practice. But by the end of this year, I should have enough buttons and collar stands under my belt to give it a go, I think. 8. Chitown Chino shorts: This is probably the biggest hole in my closet. I have only two pairs of shorts that I like to wear and both are white. Maybe it is my body type, but I find shorts to be one of the hardest things to shop for. Having a tried-and-true pattern nailed down would be amazing. 9. Winding Ways Quilt: I promised my parents a queen-sized quilt for their bed this year and picked out this rather ambitious pattern for it. My initial tinkering hasn't gone very well, so I may be choosing a new pattern by year's end. Stay tuned. It's looking like a year of buttons and butts. Haha! I'm trying out a bullet journal this year to keep track of my life and my makes. I shared a quick flip-through on Insta stories a few weeks ago, but if you're interested in a more detailed blog post, let me know. I'm really loving it so far. Other than sewing, I'm hoping to give myself some grace at home too. No big decisions or big house projects, if I can help it. Just decorating and general cozification. In terms of travel, I'm looking forward to a trip to New Orleans and Austin in May. And you know what that means... I'm going to want to finish all nine of these makes before I leave. Hahaha! That defeats the point, doesn't it? Ok ok. Seven then. Cheers to a graceful 2018!